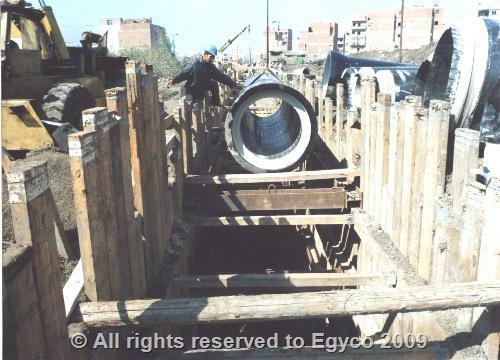 - Precast concrete pipes : diameter 800mm & length 1020m . - UPVC pipes : with diameters between 250mm: 630mm and lengths between 20m: 1406m. - Precast concrete manholes : (102manholes) with diameters between 1200mm:1800mm. - UPVC pipes : diameter 250mm & length 9373m. 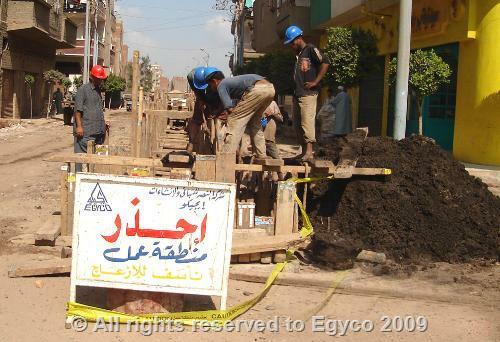 - Precast concrete manholes : (332manholes) with diameter 1200mm. - UPVC pipes: diameter 160mm & length 6073m. - Precast house connection chambers: (852) chambers with diameter 600mm. UPVC pipes : diameter 75mm & length 1015m.